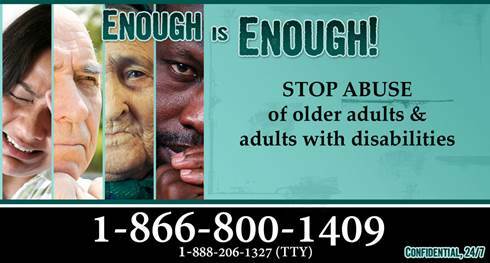 MCHD is the designated Adult Protective Services Agency for Montgomery County and is responsible for investigating all reports of alleged abuse to persons disabled ages 18-59 and to persons 60 years of age and older who live in a domestic setting in Montgomery County. (All reports received involving victims of other counties will be referred to the provider agencies covering those counties.) All reports and reporters are kept confidential. This program is funded in part through Area Agency on Aging for Lincolnland and the Illinois Department on Aging.